Legendary prog rocker Alan Parsons has just released his first album in 15-years titled “The Secret,” and you can see the first video from the album for the song “I Can’t Get There From Here” featuring Jared Mahone. 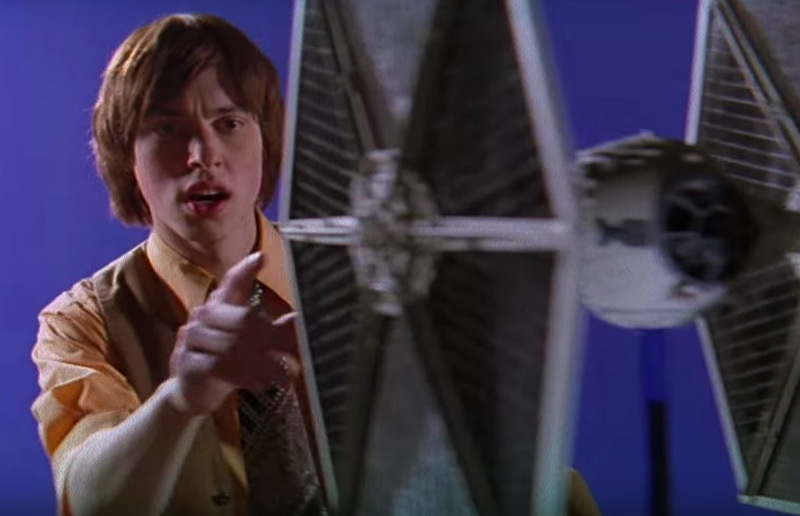 The video was directed by Patrick Read Johnson (Spaced Invaders, Baby’s Day Out, Angus) and features lots of cool footage from his Star Wars-themed autobiographical film 5-25-77. Check out the video below! Johnson’s film 5-25-77 (produced by the late Star Wars and Empire Strikes Back producer Gary Kurtz) has a long, rocky history, as he began shooting it way back in 2004. Since then he has been re-editing it and shooting new material/visual effects piecemeal over the years. The film stars John Francis Daley as a young Johnson around the time in 1977 that he became the first person outside of Lucasfilm to see Star Wars. The story charts his obsessiveness as the “first fan” of the film and how it catapults him to pursue a career in Hollywood. We saw a very rough cut of 5-25-77 back in 2013 and were very impressed by its touching mix of dorky movie love and coming of age themes, and hope it gets its much-deserved mainstream release eventually. Grammy Award Winning legendary music icon and master of progressive rock, Alan Parsons will return with a new album “The Secret” via Frontiers Music Srl. Alan’s longtime hobby has been performing magic and this brand new album showcases his own passion for the craft, hence the title “The Secret.” The album sees a return to the pop rock sound with symphonic and progressive rock interludes which the Alan Parsons Project was known for. The post See Alan Parsons Music Video From Star Wars-Themed Film 5-25-77 appeared first on ComingSoon.net.